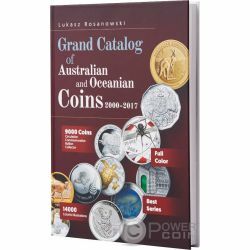 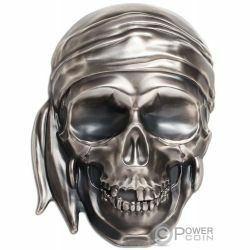 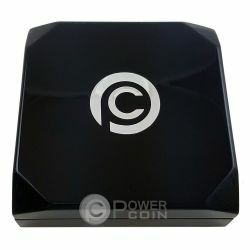 One of my first coin video review on Power Coin channel was about the "Carved Skull" coin, the first issue from the "Carved Skulls and Bones" series. 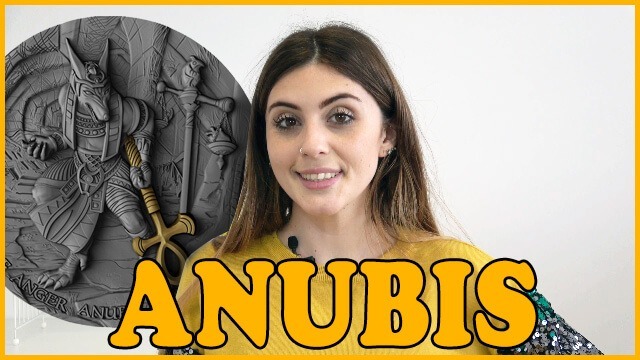 Today I would like to chat with you about the third issue of this series: Carved Skull III. 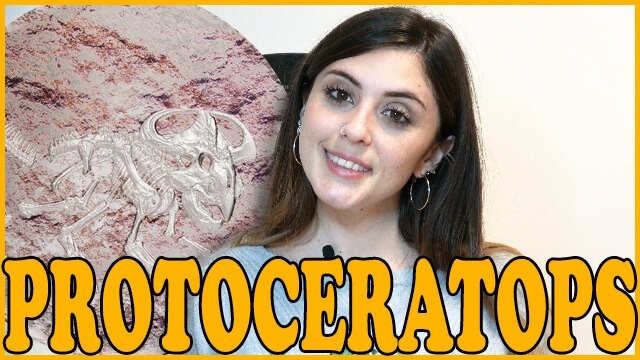 What is a Carved Skull? 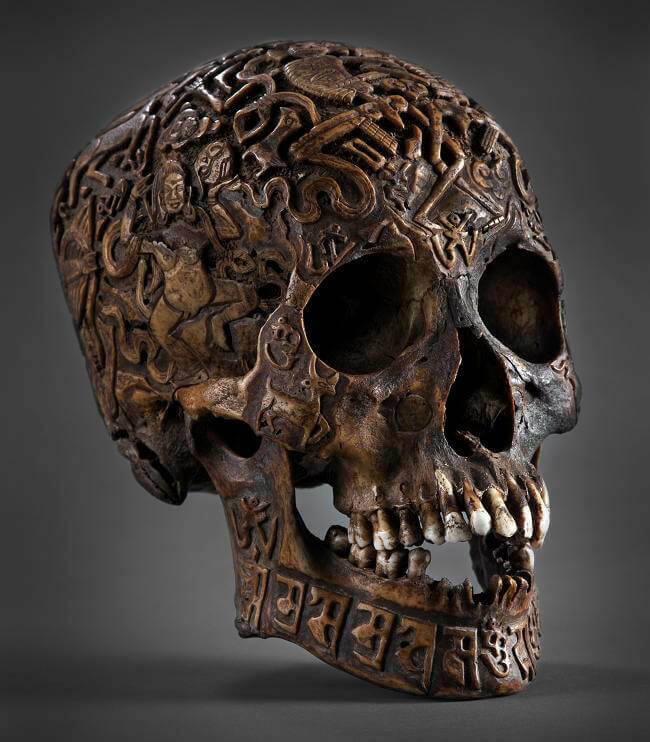 It is believed that Carved Skulls were realized to remove curses from a person and to guide its soul to the right path: these fascinating skulls are always covered with many Tibetan symbols and letters, some have been deciphered and some still remain a mystery. 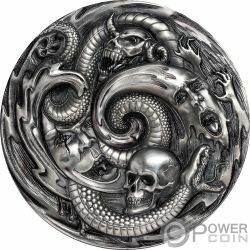 The reverse of the coin shows the beautiful carved top view of a skull, depicting a golden snake, over an incredibly designed background. 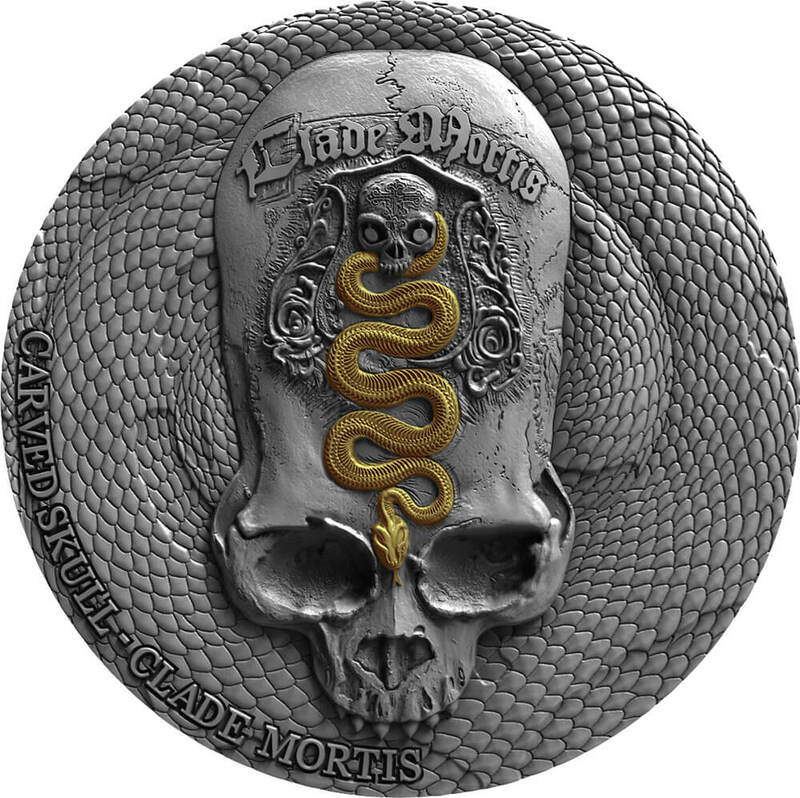 On the bottom of the reverse, the inscription: “CARVED SKULL - CLADE MORTIS” – the name of the coin. 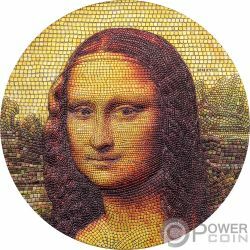 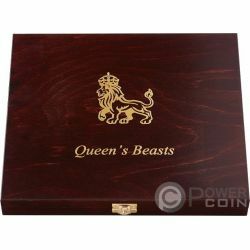 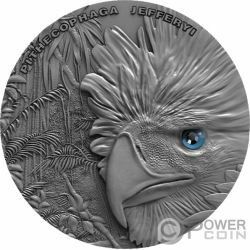 The coin has an Antique finish quality, beautiful reliefs and a wonderful Gold plating. 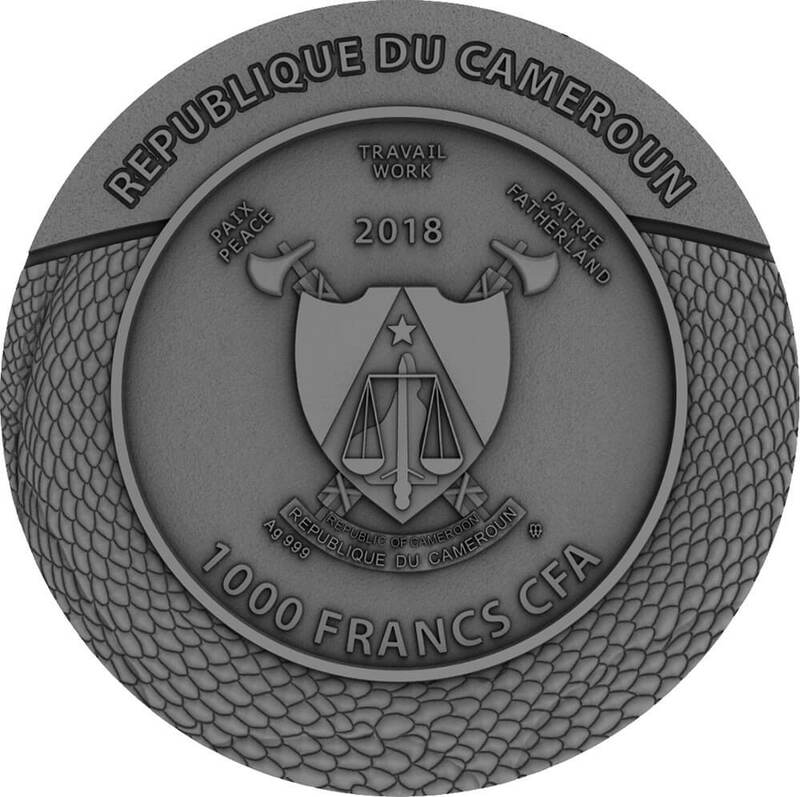 The obverse of the coin features the Coat of Arms of Cameroon and the inscriptions: “REPUBLIQUE DU CAMEROUN” – the issuing country, “1000 FRANCS CFA” – the face value and “2018” – the year of issue. 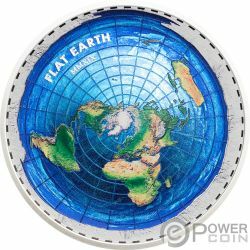 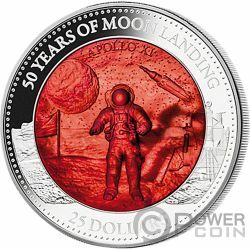 The mintage of this coin is limited to 666 pieces worldwide and it is already a best seller! 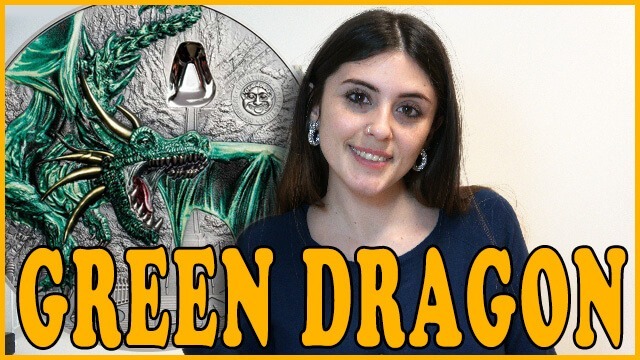 So, don’t miss it!